This is going to be wild. We know that both of these guys bring it when it comes to big matches. We know both of them are more than willing to put it all on the line with weapons and crazy stunts. If Ziggler-Harper isn’t the match that steals the show, then this will be the one that does. I’ll be angry if: This match gets less than 15 minutes, and ends with interference. I’ll keep my cool if: This match gets all the time it needs to let these guys go all out. Whoever wins, wins decisively. What I’m expecting: Ambrose goes over clean, following some particularly crazy stunt. 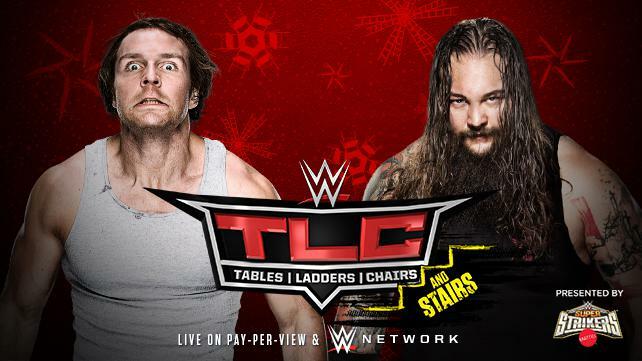 Maybe we see Dirty Deeds off a ladder, through a table?